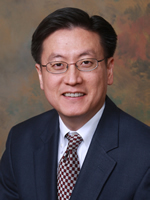 Sam Lim, MD, MPH, is consortium chair of The Lupus Initiative and associate professor of medicine and epidemiology, Division of Rheumatology, Emory University School of Medicine. Here, he talks about why it’s important for physicians to learn more about lupus and discusses some of the resources offered by the Lupus Initiative. What is the Lupus Initiative, and what are some of the new tools and educational initiatives offered to physicians as part of this campaign? The Lupus Initiative is an effort that was started by the Office on Women’s Health, the Office of Minority Health, and the Office of the Surgeon General, with the goal of reducing the disparities that we have seen in lupus by primarily focusing on the education of clinicians, specifically those who are not rheumatologists. These are the people who are on the front line of seeing cases. Since it’s well known that patients with lupus can go for many years without being diagnosed, this is an opportunity to close that gap. The effort is funded through those organizations, and managed by the American College of Rheumatology. The first step in launching the Lupus Initiative was to get the specialists to come to the table and help us create the materials. What’s really neat is that this consortium of experts, which is made up of at least 50 people who are all extremely busy, was so generous with their time and expertise when it came to creating the curriculum. With their assistance, we’ve put together a collection of resources that is ready to be used by any organization that wants to teach it. For example, for medical educators in university settings, there is a PowerPoint slide and lecture series. It features slides that have been vetted by specialists and people who are tops in their fields. It’s really well done and packaged together to make it easy to use. Of course, people can pick and choose whatever parts of it they want, but it’s also designed to be plug-and-play. We also provide a series of case studies, which are very important because they use real-world situations to help put this knowledge into context. We have four traditional case studies that describe the evolution of the patient’s condition and include a manual that facilitators can use to guide the discussion. They also include all the appropriate background information, documentation, and references. We also developed with one of our academic partners an online interactive case that utilizes the latest in technology to make the cases really come to life in a virtual setting. It uses an interface that is similar to the electronic medical records that everybody is used to now. It really walks people through a typical case, how they would see it in the hospital or emergency room, using high-quality graphics and videos. But what really challenges people is the fact that you can take the case in a variety of different directions depending on the decisions you make. And you get immediate feedback as to the implications of those choices. Physicians can also access a library of reference videos featuring patients talking about lupus, experts addressing various aspects of health disparities in lupus, and patients talking about some of the skills and attributes they wish their providers possessed. We also offer to medical providers a variety of materials they can use with their patients. These are materials that practicing physicians can use to help facilitate interaction with their patients and improve care. The Lupus Initiative also offers a variety of patient education resources, including pamphlets, symptom trackers, videos, and a mobile application. Finally, practicing physicians can access a series of continuing medical education lectures that cover some of the most important issues in lupus relating to women’s health, cardiovascular disease, disparities in care, and even novel topics like unconscious bias, which is an evolving issue that I think physicians need to understand better. All of these resources are available for free at the Lupus Initiative website.